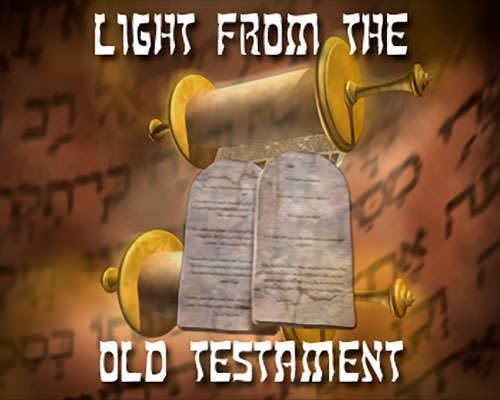 This meant that God was telling Abraham to kill his son Isaac and to burn his body as an offering to the LORD. How this must have shocked Abraham! He could not understand God's telling him to do such a thing. Nevertheless, he rose up early in the morning to obey God. On the long trip to Mount Moriah, Abraham pondered the matter. God had promised him that his descendants would be as the stars of the skies. Isaac had to live in order for this promise to be fulfilled. 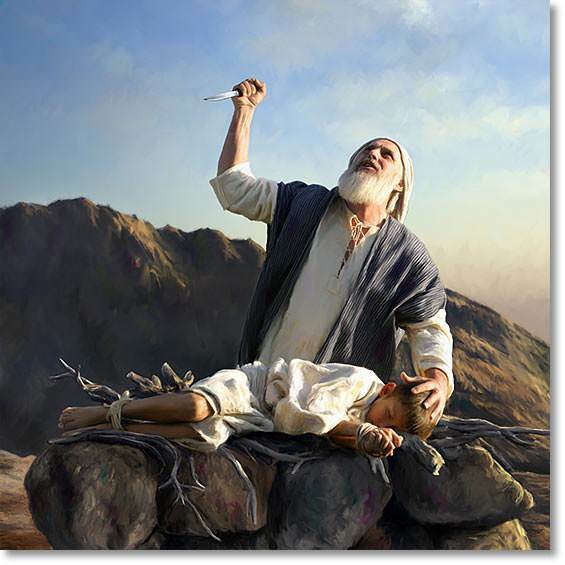 Abraham came to the conclusion that, though he killed Isaac, God would raise him from the dead. Hebrews 11:19 tells us, "[Abraham] concluded that God was able to raise him [Isaac} up, even from the dead, from which he also received him in a figurative sense." 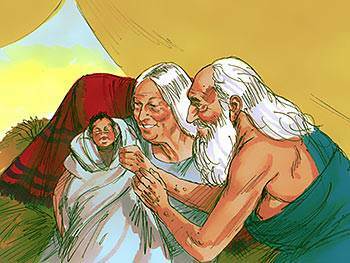 When Abraham took Isaac off the altar and held him in his arms, it was like receiving him from the dead. Abraham looked and there was a ram caught in a thicket by its horns. 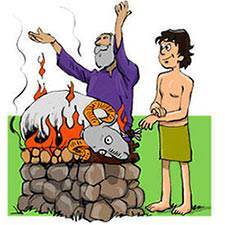 Abraham took the ram and offered it up as a burnt offering instead of his son. 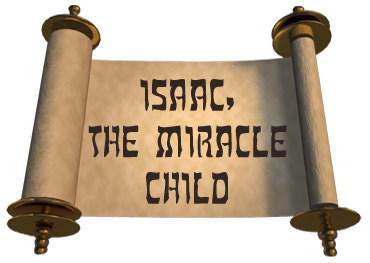 Isaac is one of the clearest types of Christ in the Old Testament. He was a miracle child. 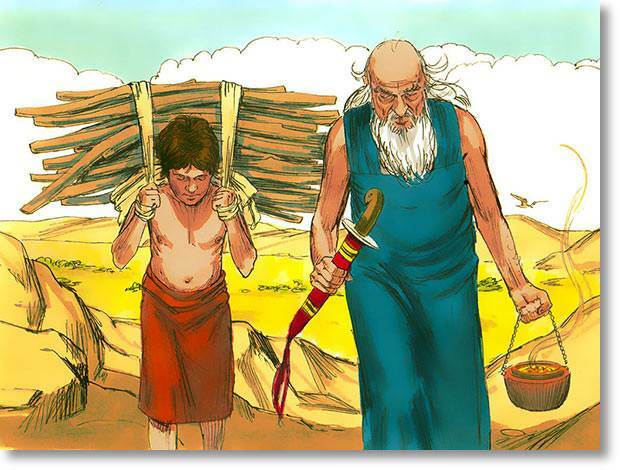 He was always obedient to his father, being willing to die to do his father's will. 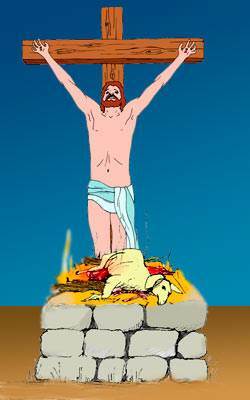 He was, in type, raised up from the dead. As they walked up the mountain, Isaac said to his father, "Behold the fire and the wood: but where is the lamb for a burnt offering?" 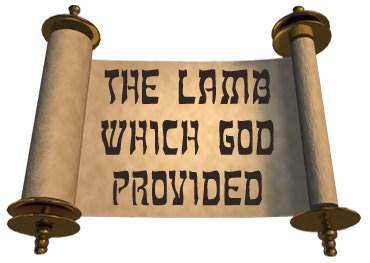 Abraham said, "My son, God will provide Himself a lamb for a burnt offering." God is perfectly satisfied with the Sacrifice which He Himself provided. This gives me peace about my sins.